I know it's been awhile since I've done a Diversity Matters post, but I wanted to be sure to start out new year right! 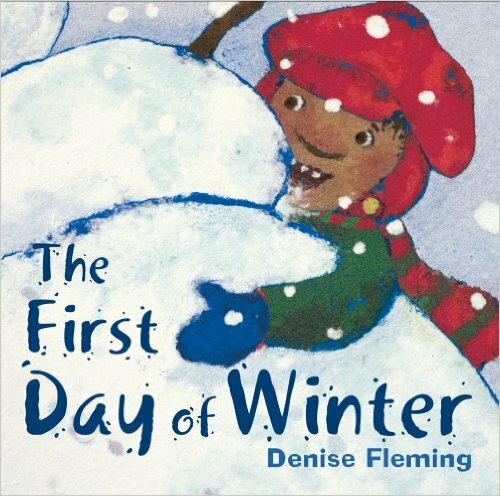 This posts features books all about winter. I don't know about you, but winter is my LEAST favorite season. I hate the cold, the snow, and the ice! It's terrible. But there's nothing like a great book to make those winter blues melt right away! 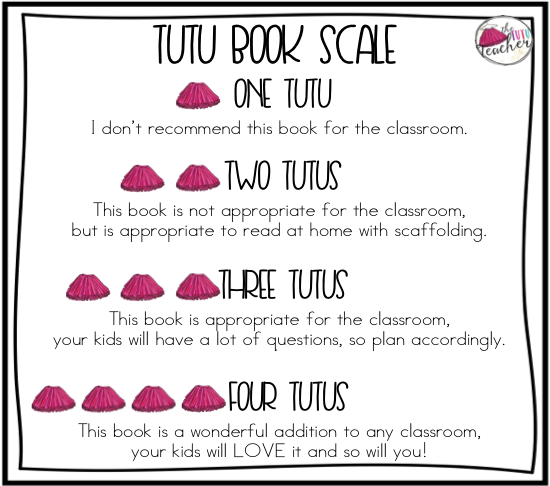 If you have questions on how to take advantage of these (and many other books) wonderful books during the entire school year, please email me at vera@thetututeacher.com...we can chat! This post contains affiliate links for your shopping convenience. I earn a small amount each time someone makes a purchase through one of my links, which allows me to continue to buy more books for my kiddos! When I saw this book on Here Wee Read's insta feed, I knew I had to have it for my classroom! There aren't a ton of books that discuss the Winter Solstice, so my library desperately needed this extra addition. 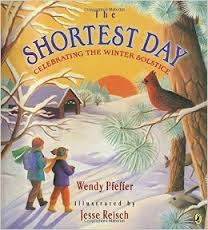 This book covers the science and cultural celebration of Winter Solstice. I think this is a great book to add to your library especially for an early childhood classroom. This book is so fun. It's a great play on the traditional tale. 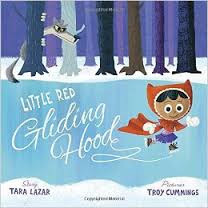 Little Red decides to enter an ice skating competition because she really wants to win the prize, a new pair of skates. But she needs a little help in order to be number one! I would definitely recommend this tale to classrooms K-5. Extra bonus, this book is available through Scholastic Reading Club, so you can buy it with your points (only 80!!)! THIS BOOK IS MAGICAL! It's about how we are all connected, how we need to take the time to make connections with people we don't know. Such a much needed book for any classroom! This is another book I found down the Amazon rabbit hole, and it is REALLY good! When This World Was New is a story about a little boy whose family recently immigrated to America. They moved from a warm country, to the cold, snowy North. 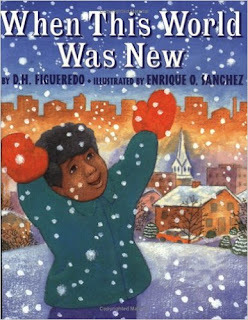 The story touches on the little boy's fears of being a newcomer along with his fears experiencing his first snow. 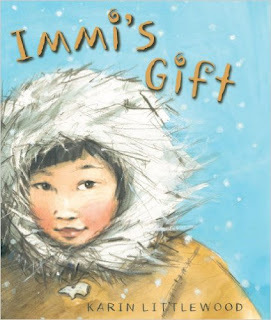 It is a great book for winter, but another great book to help kids talk about the feeling of being "new". What an incredibly adorable story perfect for Valentine's Day! I had the chance to read this book when I went to the NTCE conference this fall. The simple pictures captivated me and the story won me over. 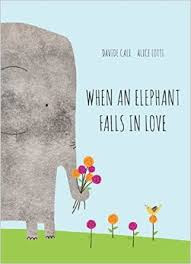 Elephant is doing all he can to fall in love. He tries going on a diet, but ends up finishing the cheesecake. I want to tell you more, but I know you'll fall in love with this book once you read it. There's a very strong message of loving yourself for who you are, and others will fall in love with you. I've had this book in my classroom for awhile now. I remember buying it because it reminded me of my childhood. My grandmother's birthday is on December 31st and each year she'd cook black eyed peas for us to eat. And now, I cook a black eyed pea dip for our family to eat for New Years! 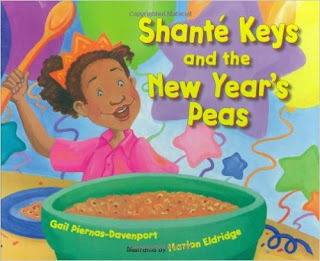 This is a great book to show students other ways people celebrate the New Year. 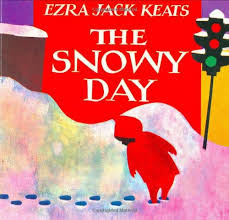 Ezra Jack Keats was an amazing author and illustrator. He was so talented at bringing a story, setting, and characters not typically seen in children's books to life. He tells stories in such a wonderfully simple way, which makes it easy for children to relate to his stories. I LOVE Snowy Day. 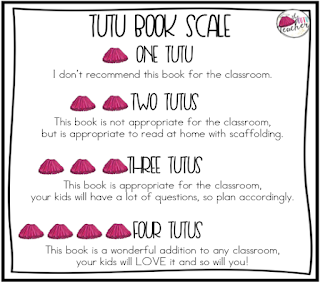 If you're looking for more in depth ways to integrate this book into your classroom, please check out my blog post here. This book is everything. 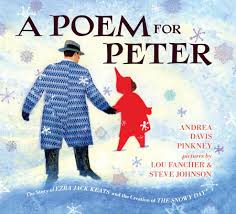 It's such a beautiful tribute to Ezra Jack Keats and Peter. I just can't say enough about how great this book is. I think if you were to integrate it into your early childhood classroom, you'd need to be sure to scaffold a lot of the history of Ezra Jack Keats, WWII, and Civil Rights. There are a lot of issues discussed in this book but in such a beautiful way. The beautiful imagery of snow is woven throughout...oh I could go on and on. Even if you don't use this in your room, this is a book you just NEED to purchase for yourself! This is such a fun story to read, especially right after the holidays. The story is told in the same manner as the song "Twelve Days of Christmas". The story presents different materials for the friends to use to build a snow...person together. Your students will truly enjoy this book as will you! Hopefully you found a few new books to add to your classroom library! What other winter books would be a great addition to this list?